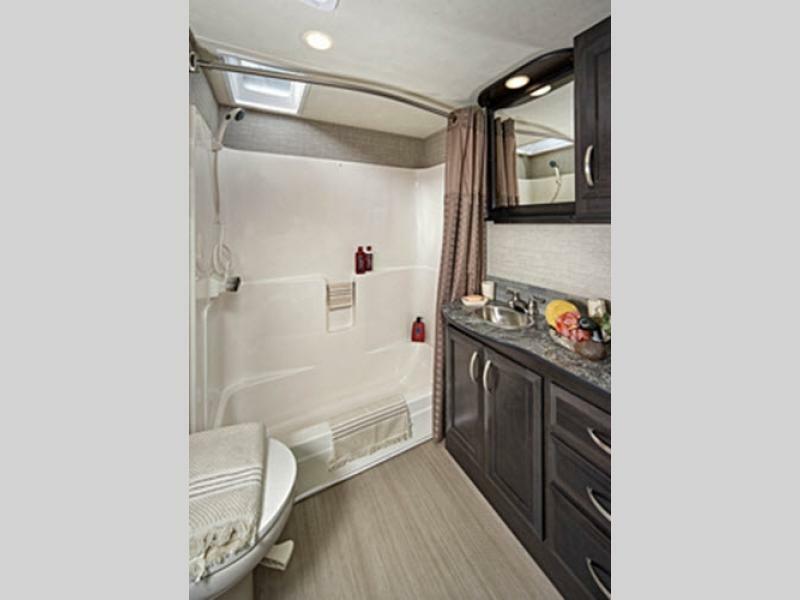 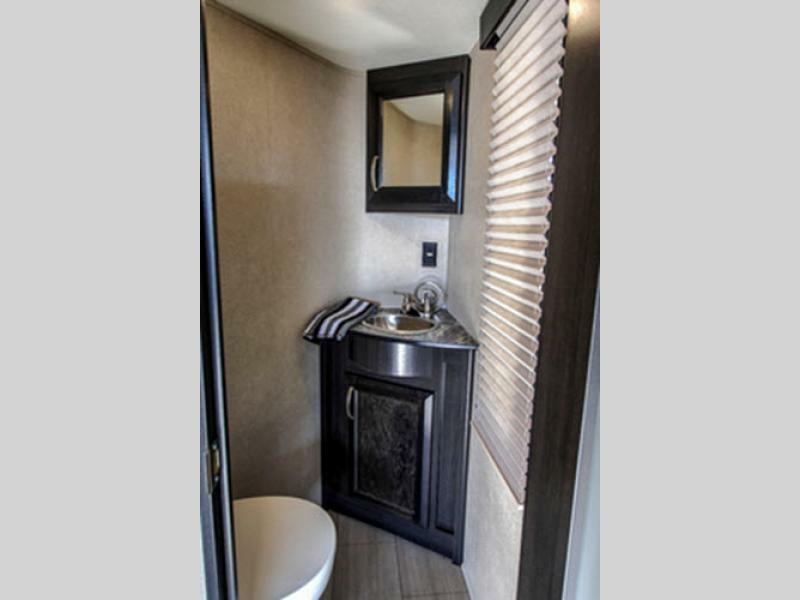 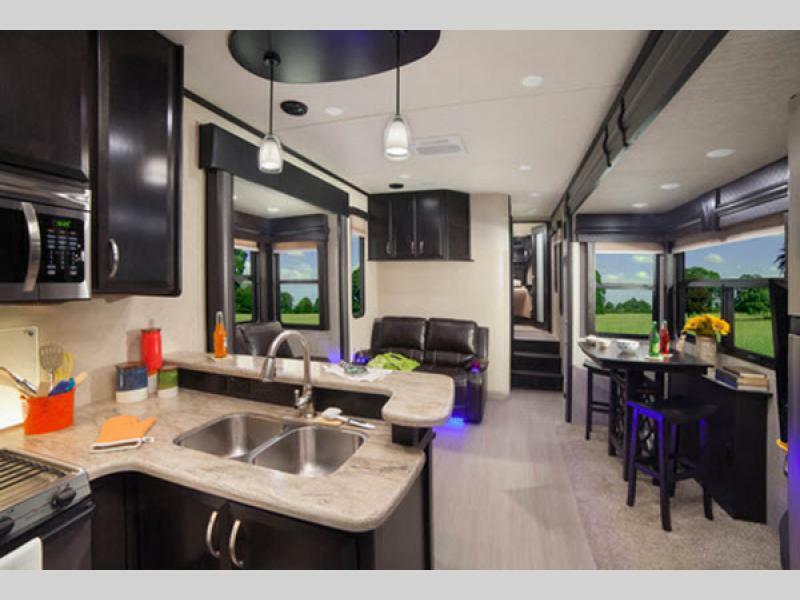 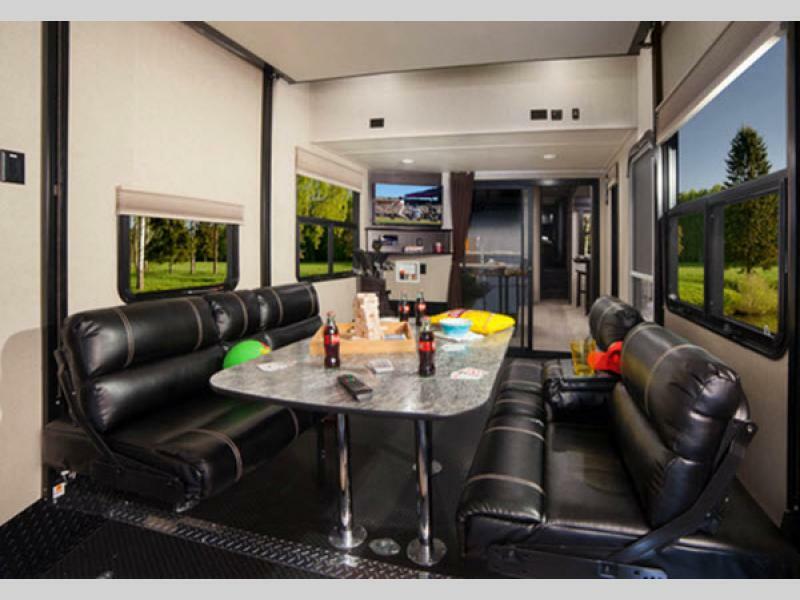 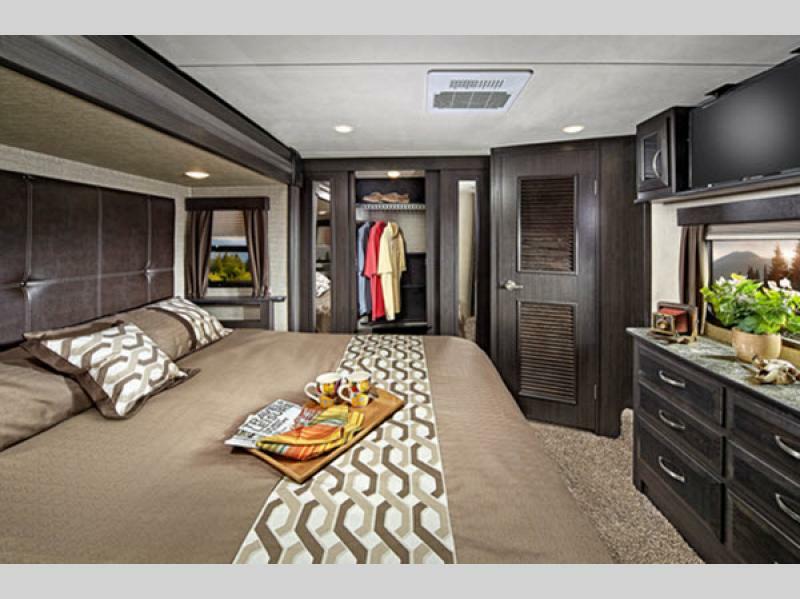 Dutchmen welcomes the Voltage fifth wheel toy haulers. 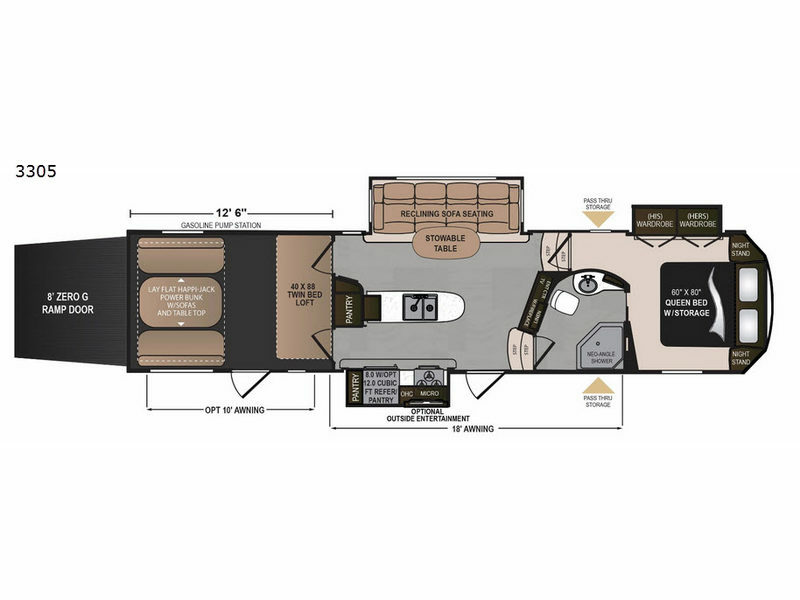 One of the most innovative toy haulers with the best features and most value in the industry. 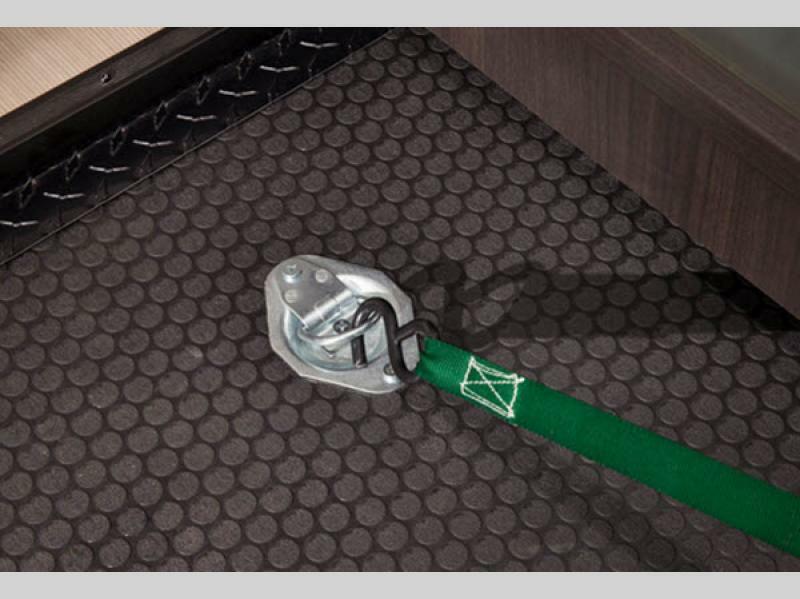 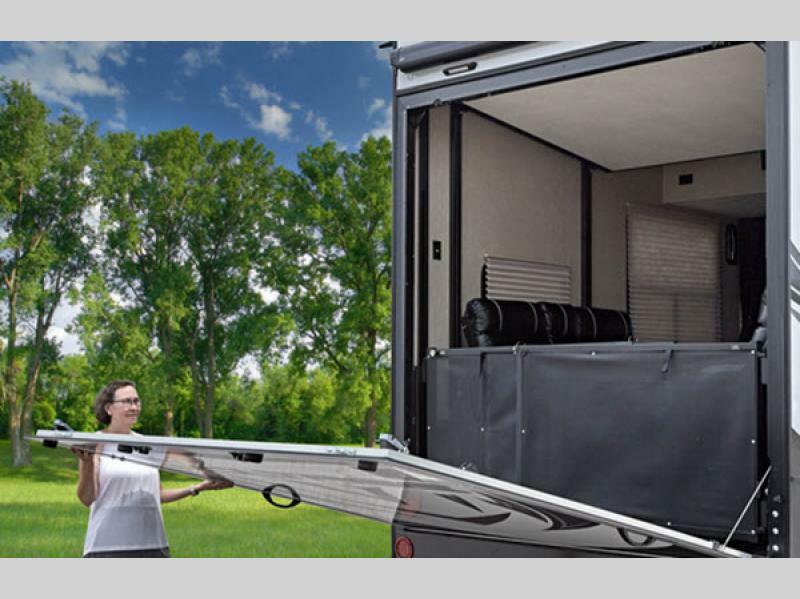 The garage lengths vary from 10' to 15' depending on the model you choose, and the MORryde's Zero-Gravity rear ramp door is weightless, creating a safe loading and unloading process. 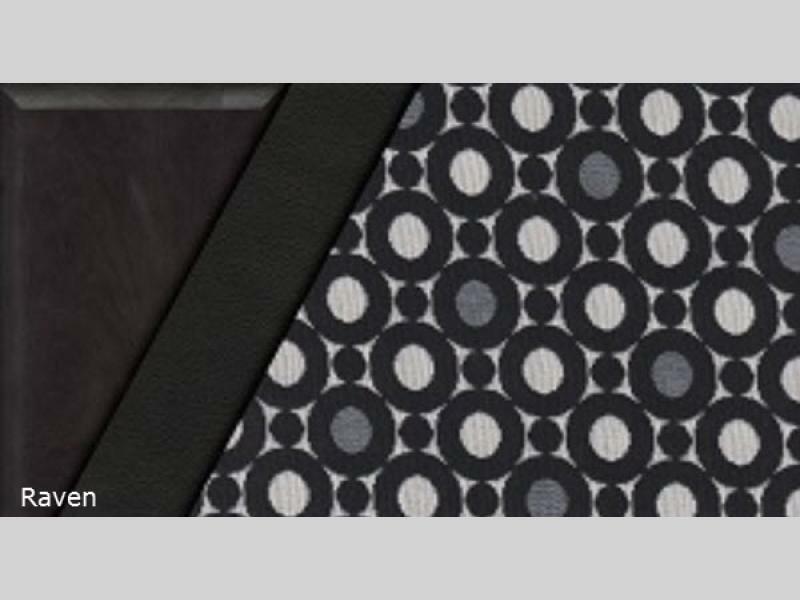 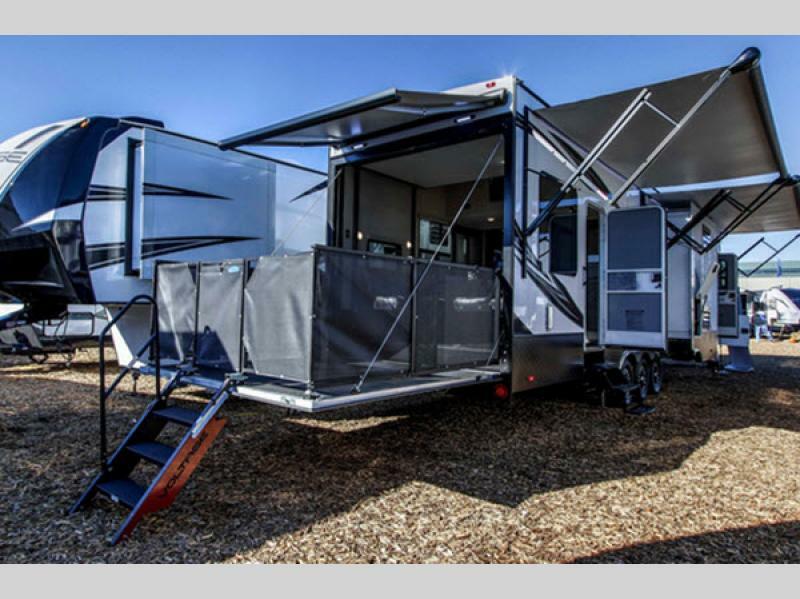 The electric locking system and re-designed hinging system allows for easy setup and tear down so you can go more places quicker. 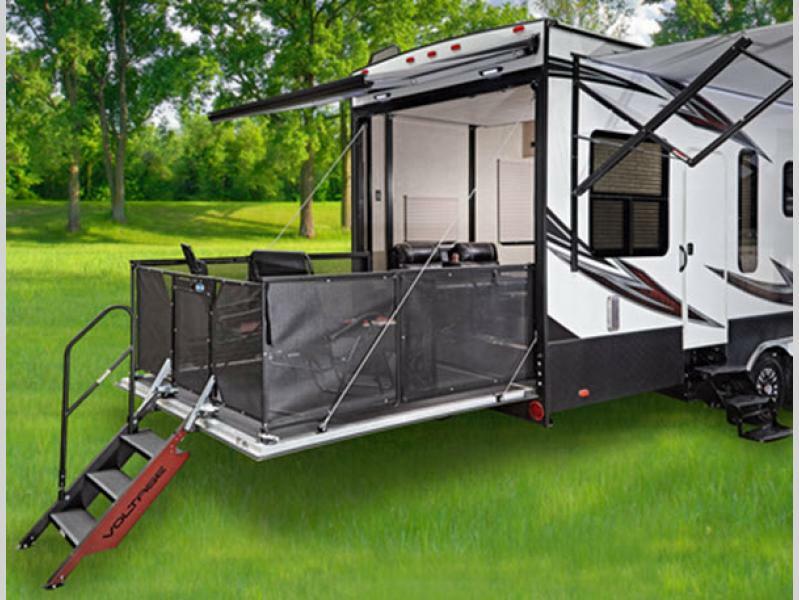 Plus, the gasoline pump station allows the fun to last that much longer. 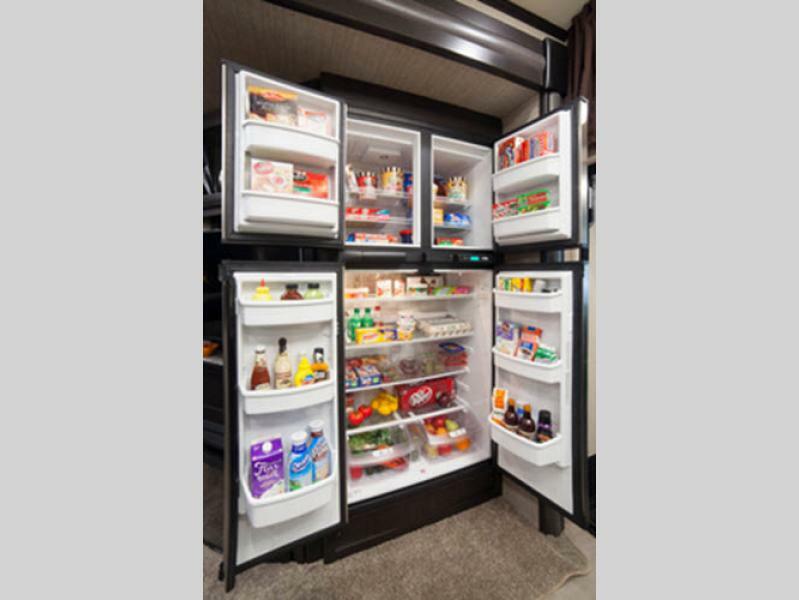 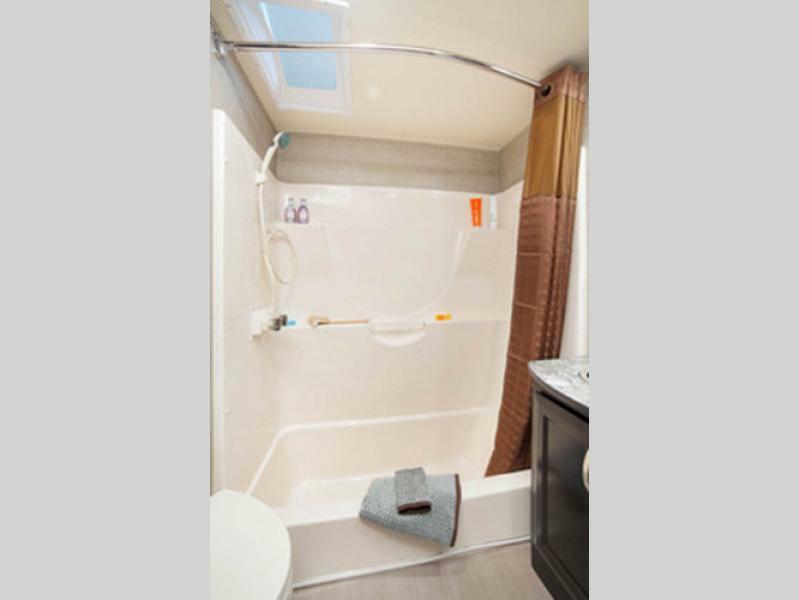 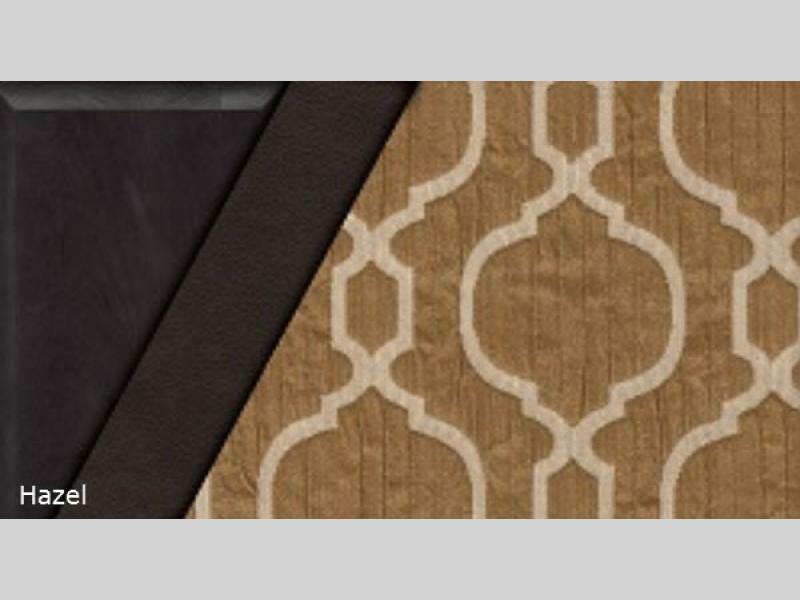 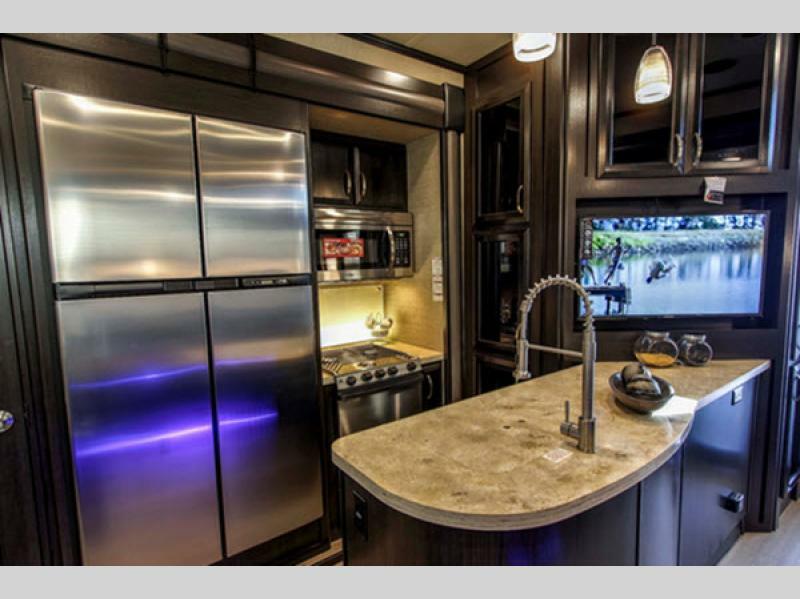 You'll enjoy full kitchen and bath amenities in a lush environment so plan an extended weekend or week long get-a-way to take advantage of all that the Voltage has to offer. 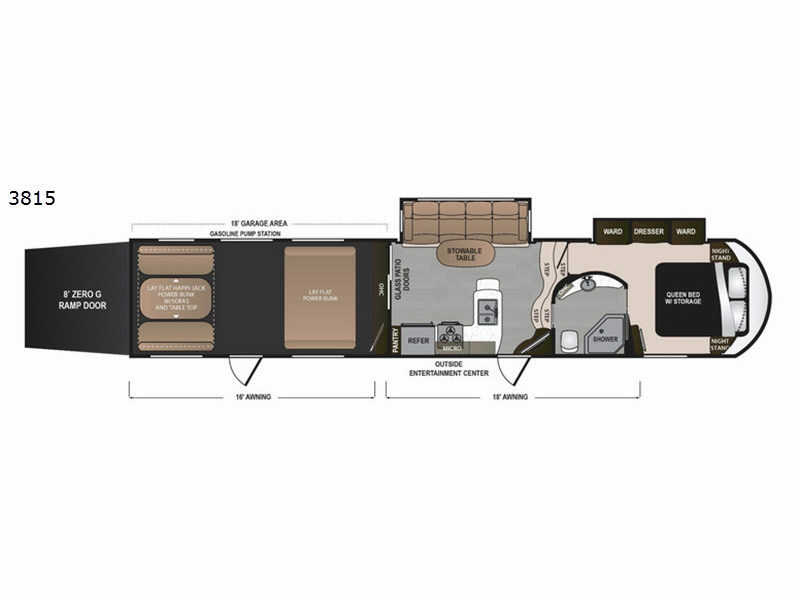 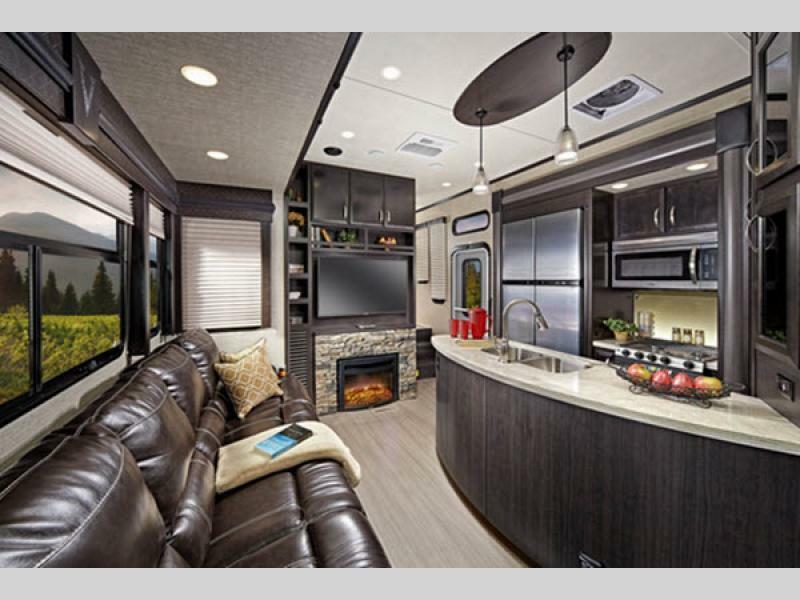 Dutchmen has taken years of dealer feedback and put it all into designing the ultimate toy hauler. 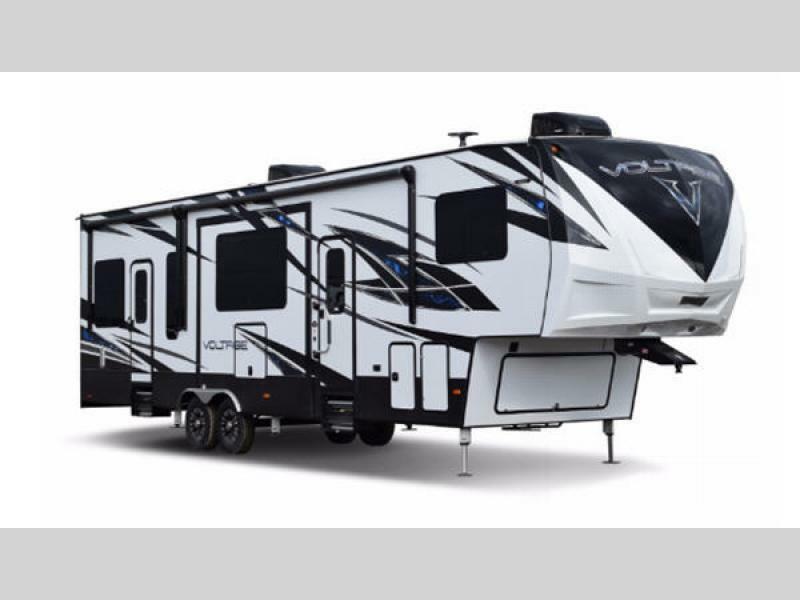 With a Dutchmen Voltage you'll quickly find that all toy haulers are NOT created equal! 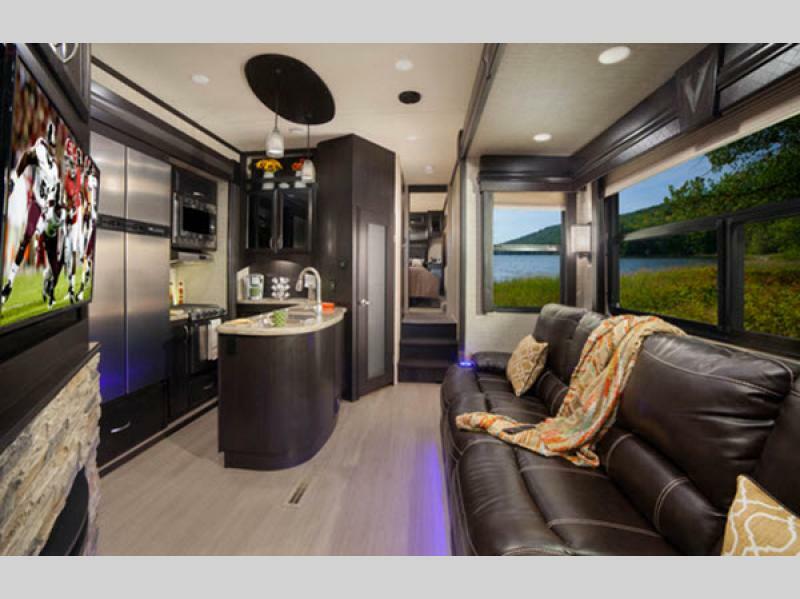 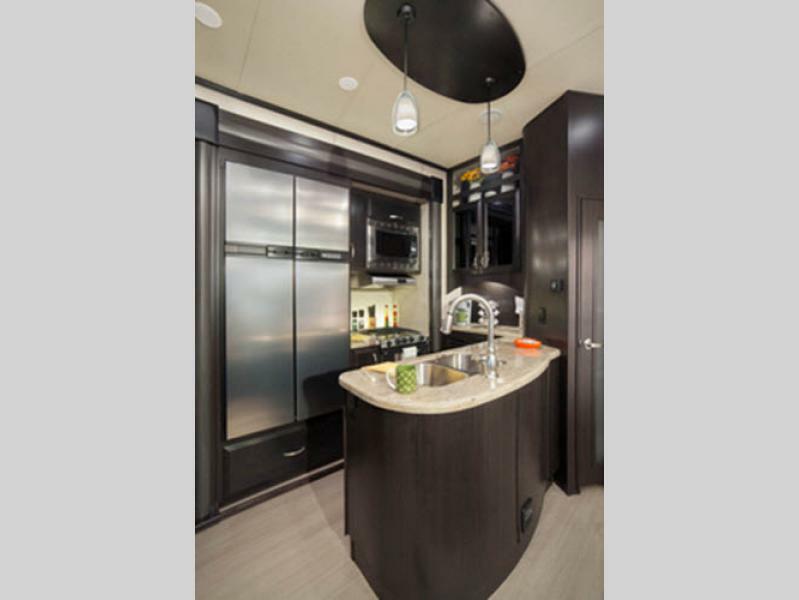 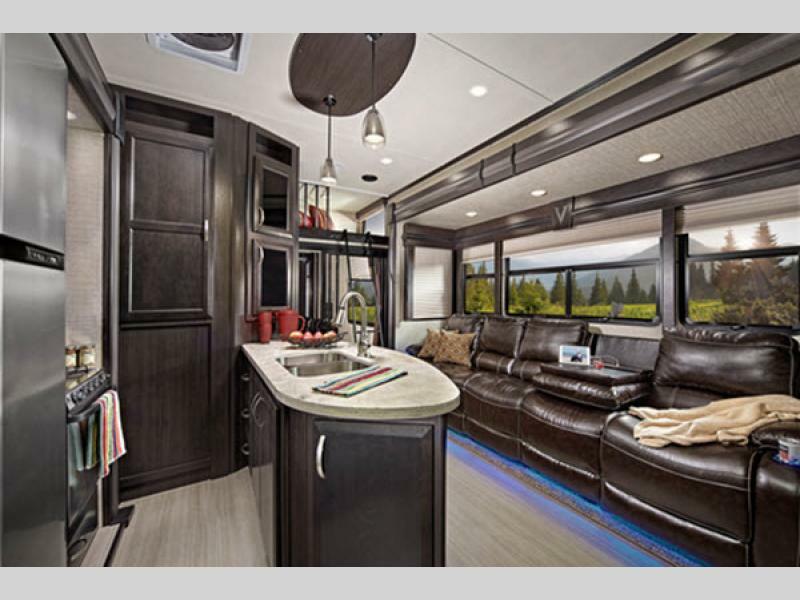 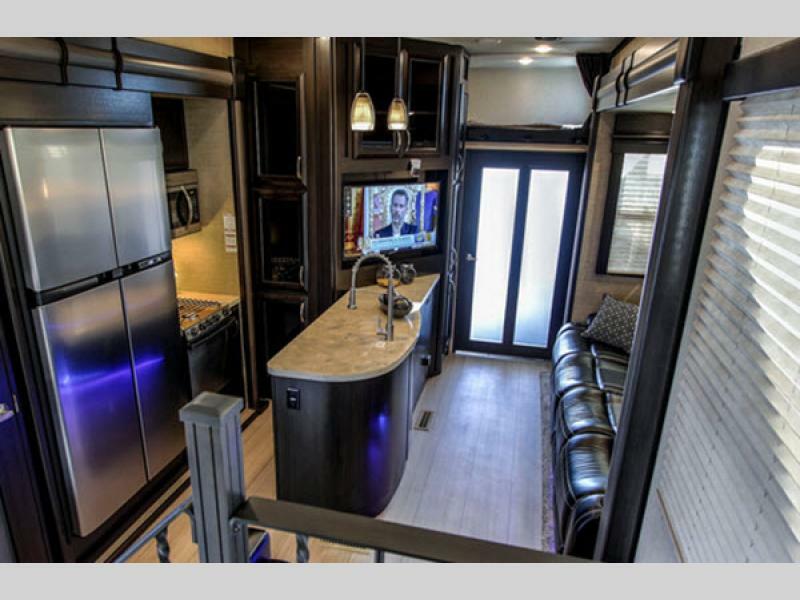 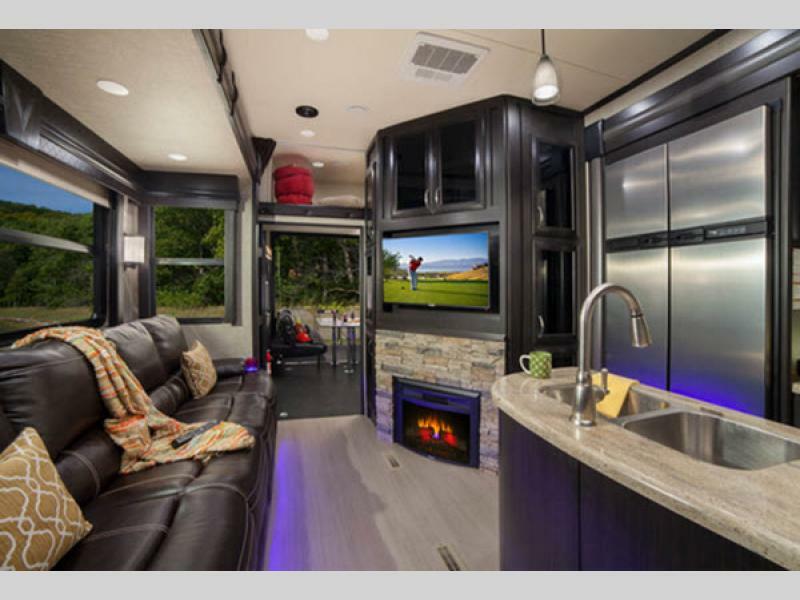 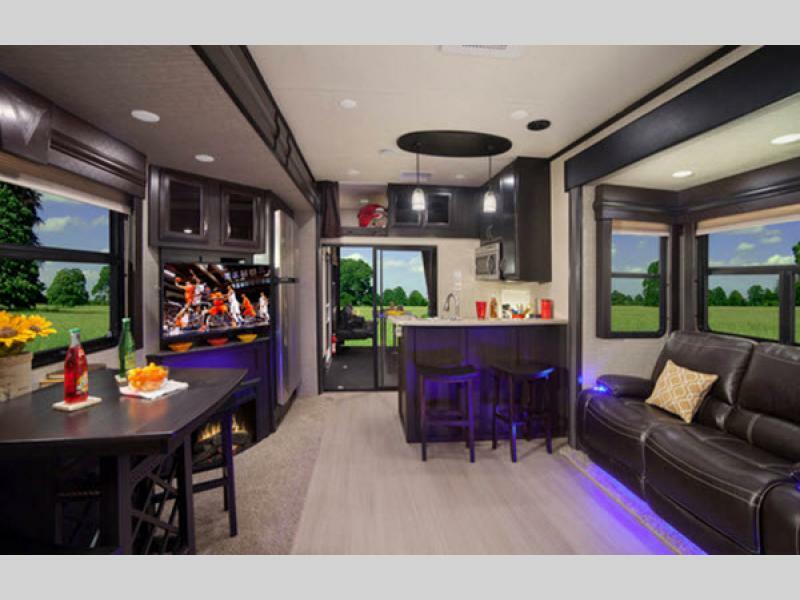 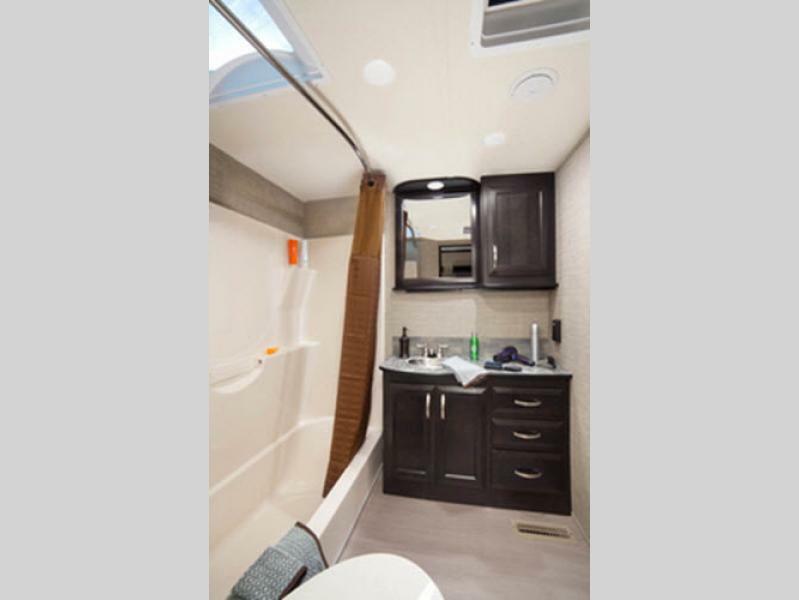 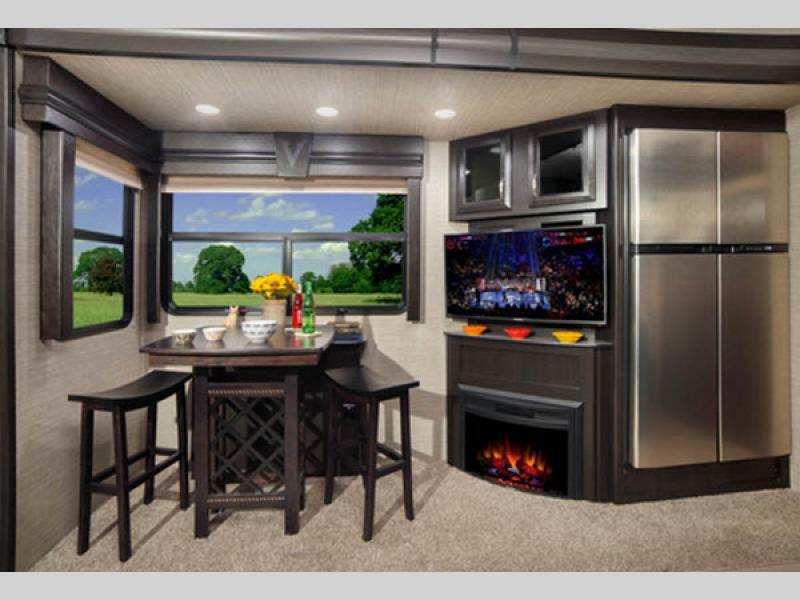 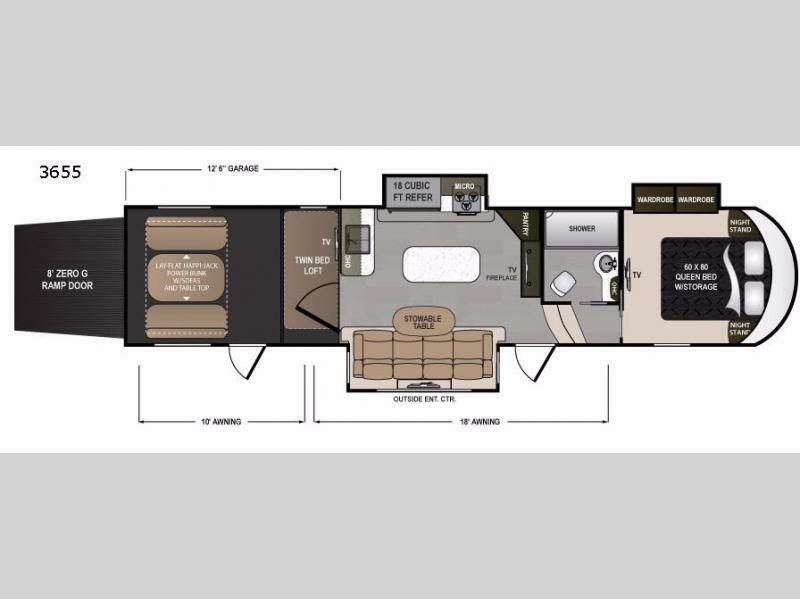 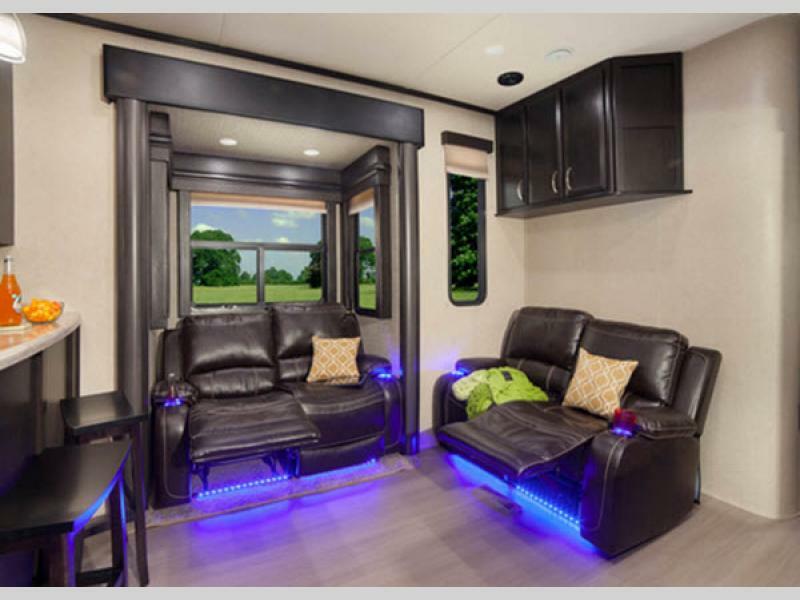 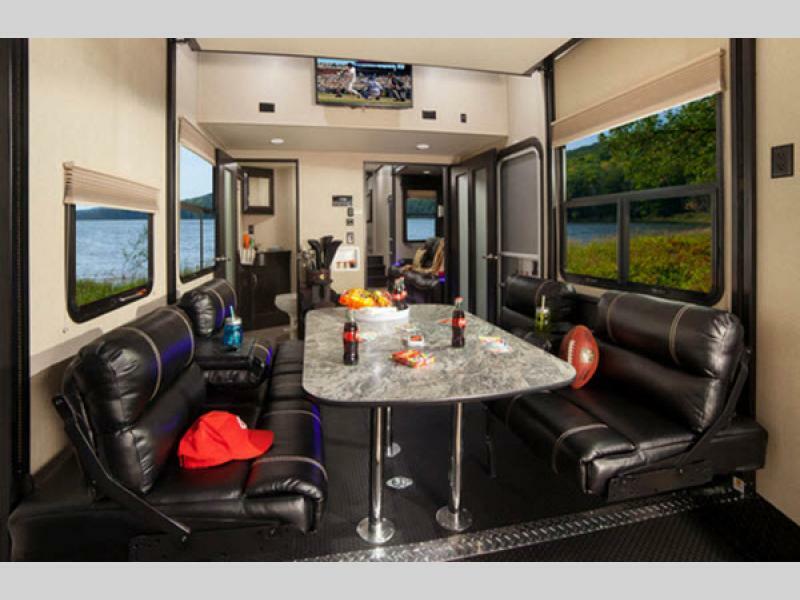 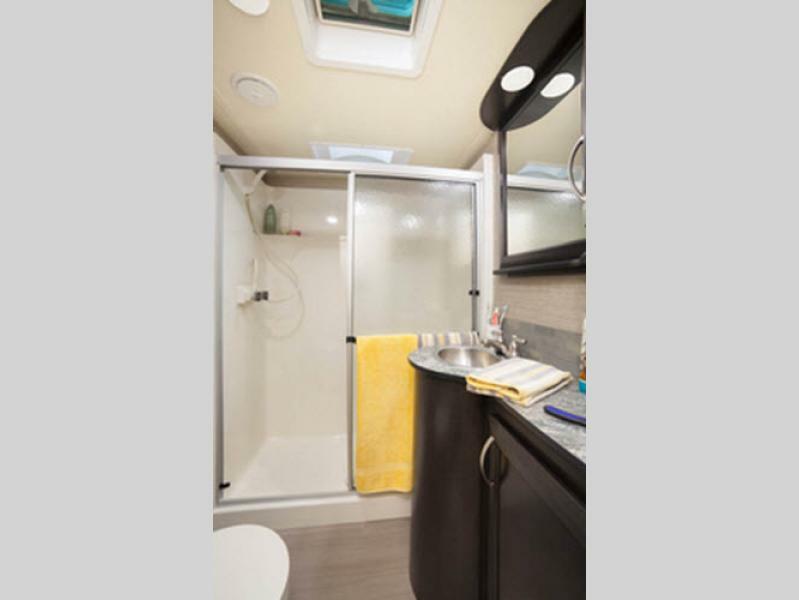 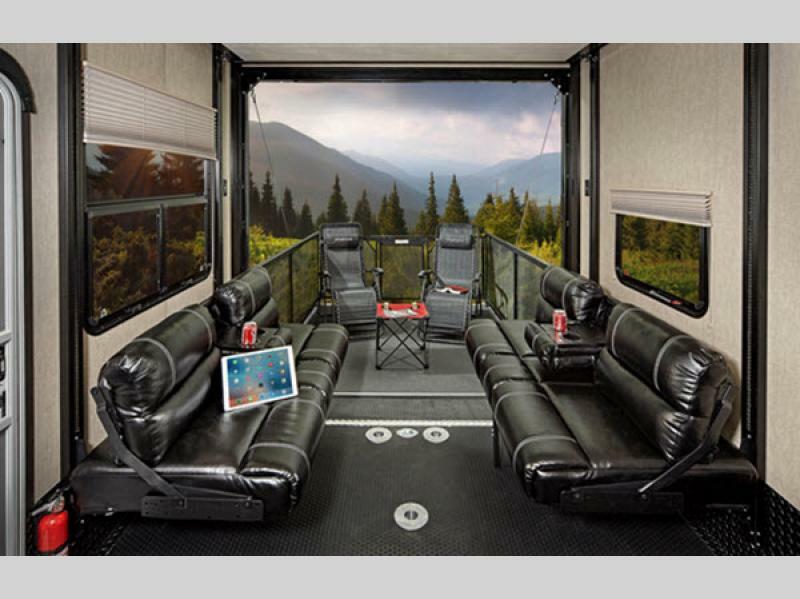 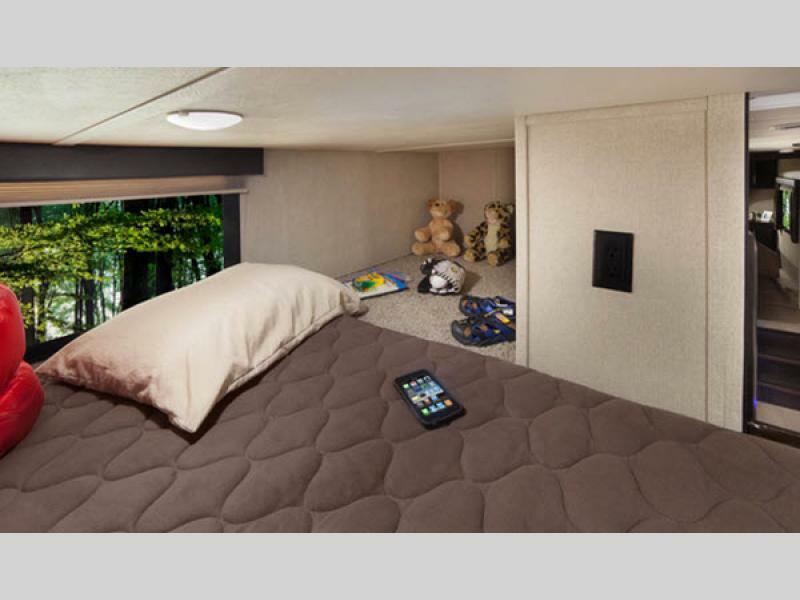 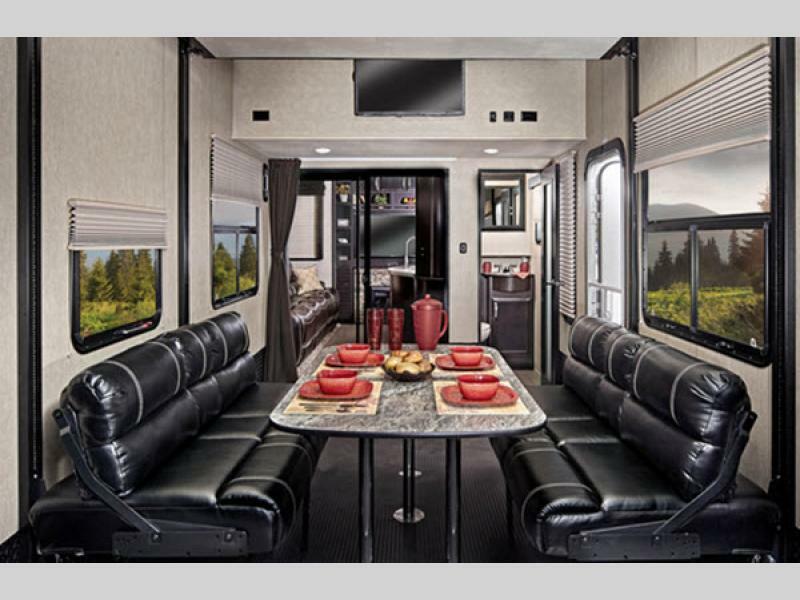 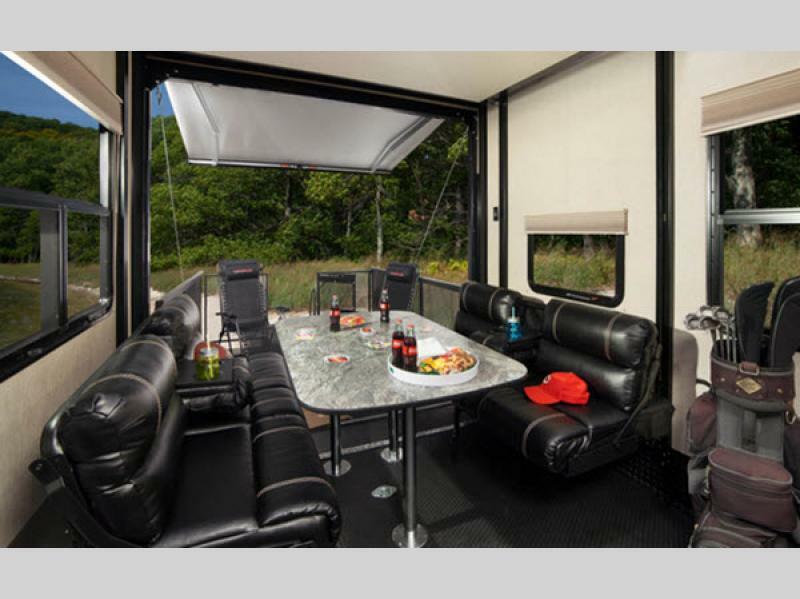 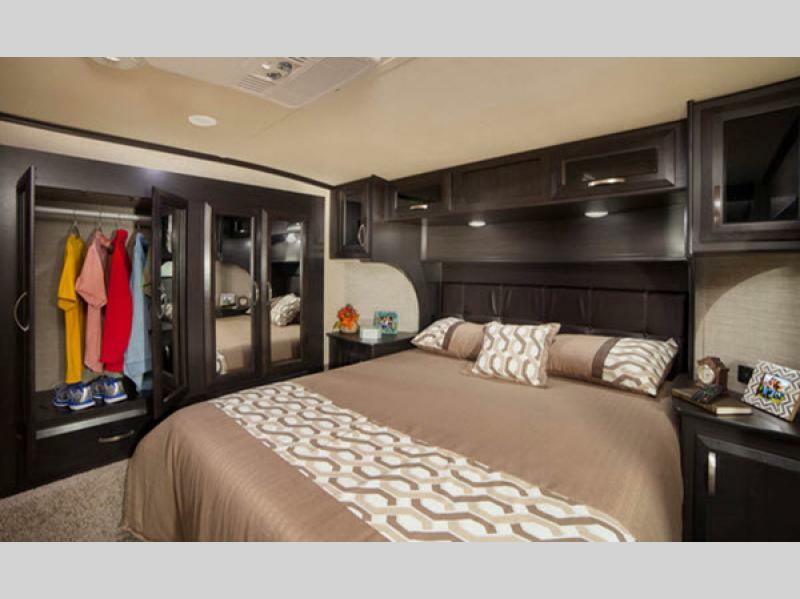 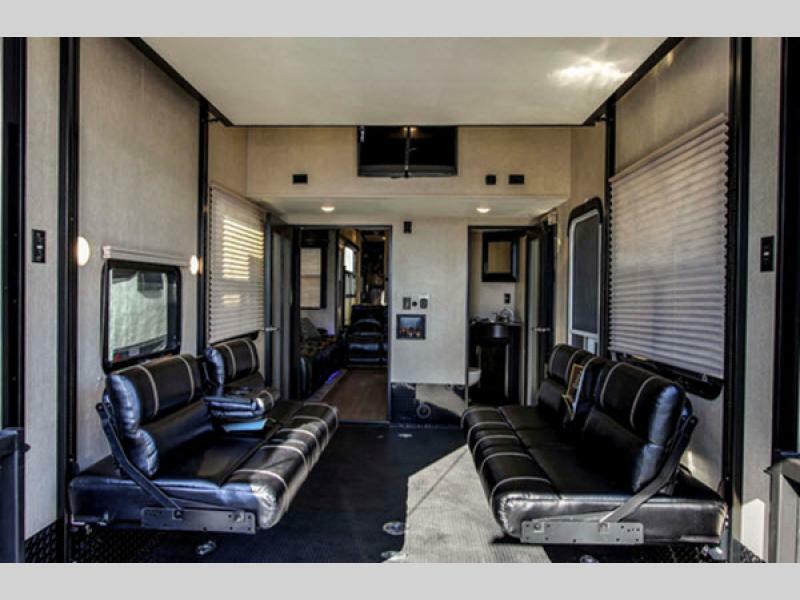 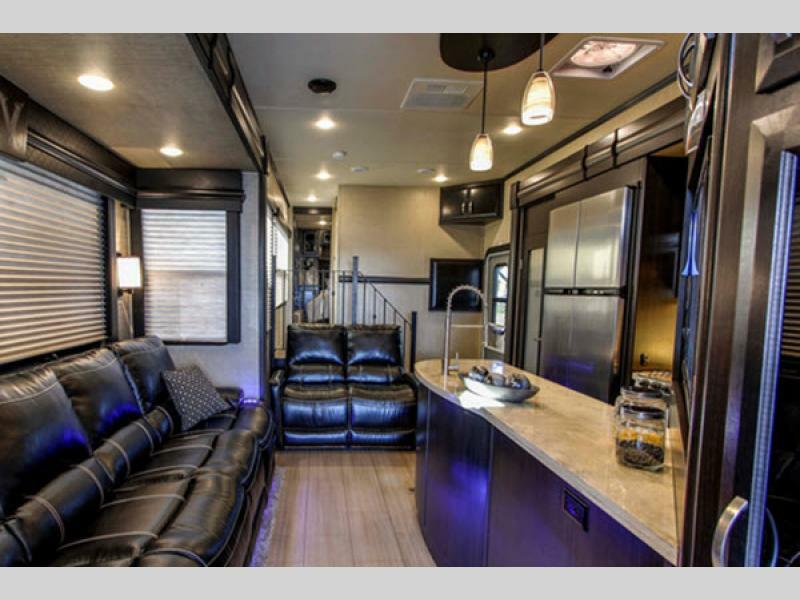 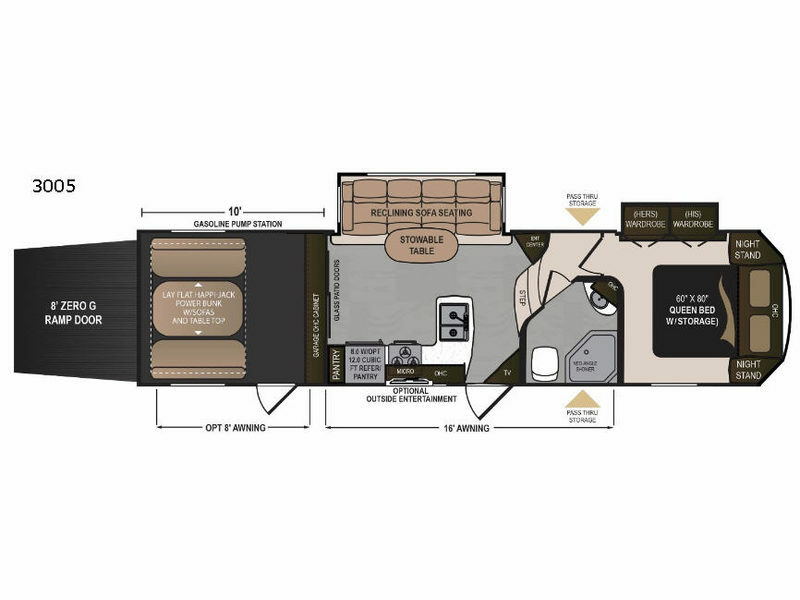 Get your Voltage fifth wheel toy hauler today and turn things up a notch! 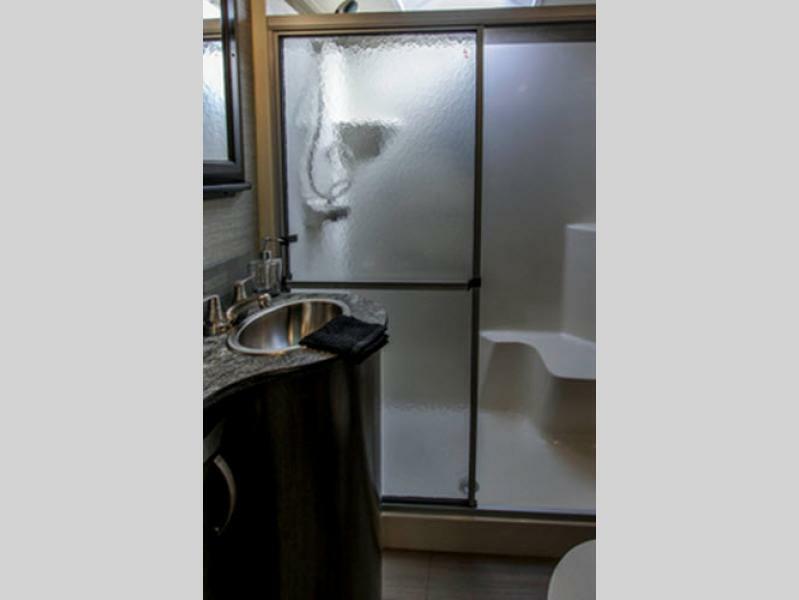 Shower Size 29 1/2" x 54"
TV Info LCD HD LR, Bedroom, Ext. 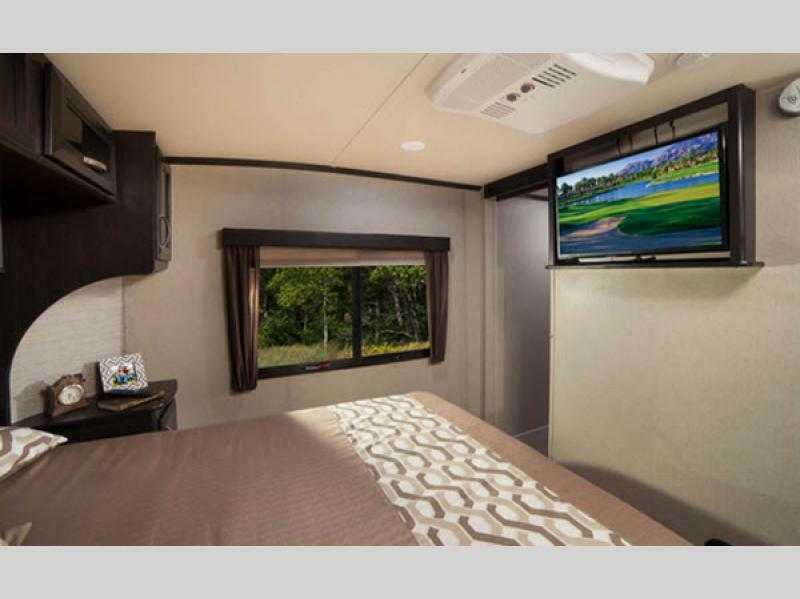 TV Info LCD HD LR, Bedroom, Garage, Ext.